Are you thinking about moving? You don't feel like driving your vehicle all the way to your new destination? Don't worry about it! At SHIP MY RIDE we will be more than glad to assist you with your car shipping process. We are a vehicle shipping company with many years in the industry, our experience makes us #1 in the country. We offer our services all across Canada and the United States. Not only do we understand, but we also commit to our customer's preferences and requirements when shipping their vehicles. That is one of many reasons we have been able to remain in the vehicle shipping industry for so long. Are you afraid your vehicle may get damaged during the transportation process? Worry no more! Many of the services we offer to our customers is the Door-To-Door service, which basically consists in us picking up your vehicle/car at your door, and we will also, drop it off at your new destination! Dauphin is a warm city and it's located in one of the top car shipping provinces in the car transportation service industry in Canada. Auto move in Dauphin is welcoming, conformed by a community surrounded by rich, productive farmland, natural beauty and a myriad of opportunities for outdoor recreation. Dauphin is situated in the heart of Manitoba's most spectacularly scenic region known as the Parkland. 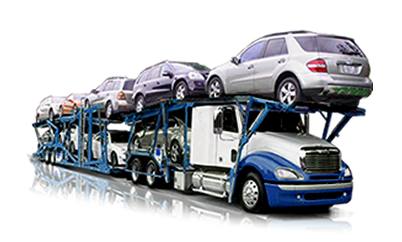 We understand there are several types of car shipping costumers that require specific care when we handle their vehicles for transportation. We are experts on vehicle relocation within Canada. SHIP MY RIDE can transport cars, SUVs, trucks, classic cars, whole fleets from city to city, province to province, and across the nation if that’s what your auto transport needs require. Get a free auto shipping quote now!